Vocalist and Guitar player Tasha Harmon grew up in Chicago and Brooklyn and has lived in Western Massachusetts, Austin Texas and now Portland. Her mother says she sang before she could talk, but she didn’t start playing guitar until she was 10. She fell in love with American folk music first, then with Motown and Rock and Roll, and discovered choral singing and musical theater in high school. Next came Celtic and South African vocal music in college, but she didn’t find her way to the Nordic and Balkan world until she met Shawn. She picked up bodhran and hand percussion to try to keep the group that became Kendálin under a dozen (and who could not want to play bodhran after listing to Flook’s Flatfish album?) She has sung in many groups, including choirs, folk duos, and a 14 voice women’s a’cappella group called Spontaneous Combustion. Tasha is a poet and occasional lyricist. She is slowly overcoming the drawbacks of having been a soprano for most of her life. She is also Kendálin's co-director (affectionately know as "she-who-plans"), and facilitator of most things logistical for the band. They say that by age two Anna was singing in tune along with Julie Andrews in the Sound of Music, complete with accent. Her choral experience began in the fourth grade and lasted through years of music school during which she also directed several a cappella groups and appeared in the roles of Cinderella in Into the Woods, Guinevere in Camelot, and Anna in The King and I.
Anna is also the mother of the two "band babies," Magia and Lila, both of whom seem to love music as much as she does. Rachel started taking Suzuki violin classes at age six. After her family went to a performance of Alasdair Fraser and the San Francisco Scottish Fiddlers, her mother decided that she and her father should join the club and learn Scottish fiddle as a bonding experience. Rachel went to fiddle camps all through school and took lessons with several amazing fiddlers including Suzy Thompson and Darol Anger, while also playing violin in local school and youth orchestras. She picked up the viola in middle school when an orchestra teacher offered it as a challenge. 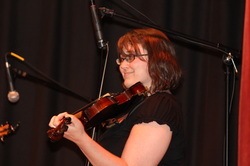 Rachel moved to Portland in 2008, where she began playing with Kendálin. She also started writing fiddle tunes, including the one named for her cat, Littles, which appears on our first CD. When she's not playing with Kendálin, Rachel performs with Portland-based Celtic band Dram & Go and the Oregon Pro Arte Chamber Orchestra. Originally from Maryland, Bryan began playing violin in the 2nd grade. The thrill of playing Christmas tunes was one thing, but it was the anticipation of learning the Star Wars theme song that truly inspired his desire to play music. After quitting the violin followed by short periods on piano and cello, he finally discovered the electric guitar which was to dominate his musical life from then on throughout his college years. 2 years living in Europe as a young boy awakened Bryan to the fact that there is culture (and music) outside of the United States. This led to a 6-year stint traveling and living throughout Europe, Ireland and the South Pacific playing mostly acoustic guitar and fueling an interest in traditional music from around the world. 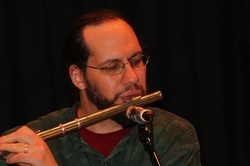 David Chris started playing flute at the age of 7, and studied classical flute for most of his childhood. As a young adult, David developed an interest in jazz, and was privileged to study flute and alto sax with Buddy Collette. Since that time, David has studied and performed music as an avocation, his primary profession being real-time embedded software engineering. David has collaborated with various musicians in the Portland area, playing gigs, writing, arranging and recording. He is excited about his latest musical chapter with Kendálin. Some of David's original music may be heard online at davidchris.com. Justin joined Kendálin to replace Shawn on stage. He has spent the last several years teaching kindergarten at a French Immersions school as is currently teaching music classes and workshops all over Portland, focusing on uke, mandolin, guitar and fiddle. He performs throughout the northwest, solo and with different bluegrass and folk ensembles. You will find more about his performing and teaching at his website: www.JustinEubanks.com. Jason is a classically trained bassist who picked up the bass at age 10. 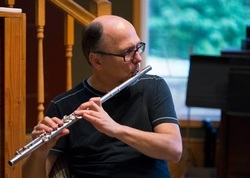 After earning his music performance and music education degrees at the music conservatory at the University of Cincinnati, he moved to Portland where he has been a member of the Oregon Symphony since 1999. Jason is also an adjunct faculty member in the music departments of the University of Portland, Lewis and Clark College, and Concordia University. Alex started as a percussionist at the age of 2, banging on pots and pans on the kitchen floor. He then moved on to snare and ride cymbal for elementary school band and picked up some piano along the way. Being half Egyptian, it was only natural that he taught himself doumbek in middle school after an uncle bought him a drum and a bellydance CD. He expanded his repertoire to drumset in sixth grade and joined an African Drum Ensemble, learning djembe in seventh grade. On top of Honors Band, Jazz Band, and Liturgical Music in high school, he founded Weapons of Mass Percussion (a percussion ensemble that continues to this day) and participated in four different bands as a drummer. While pursuing architecture at Arizona State University and an honors degree at Barrett, the Honors College, Alex founded, played shows, and recorded albums with two bands; participated in ASU’s Concert Band; and even joined the ASU African Drum Ensemble studying Wolof Sabar drumming along with djembe and dunun drumming from Mali and Ghana. His move to Portland three years ago for grad school only allowed the transportation of hand drums with auxiliary percussion but gave him room to acquire and dabble in some stringed and keyed instruments. Composer, arranger (and player of flutes, mandolins, and sometimes things with keys, though not on stage these days), Shawn Orpinela began his musical career as a drummer; he started out banging on pots and pans but by age four or five had worked up to a kid’s drum set. At the time people just thought he was somewhat erratic. In hindsight, perhaps it was the infancy of his obsession with mixing meters, but we’ll probably never know for sure. Throughout high school and college Shawn picked up other instruments (putting the percussion aside somewhere in there), but his first love is manipulating all those funny black dots on the page, particularly for others. This combines well with his otherwise mostly “more is more” personality (three cats currently feel like plenty on that front). 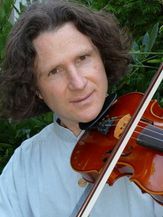 When not composing, arranging, rehearsing or supporting Kendálin in performance, Shawn gives private music lessons (usually with juggling worked in), composes and arranges for other ensembles, including Resonant Choral Arts, follows the Portland Trailblazers, and tries to figure out how best to navigate the house while having a cat attached. With nine members, we sometimes need to play a gig without one of our regular members, and, sometimes it's great fun to have a guest or two who can add something. When Rachel was in Tanzania for a few months, the wonderful Rob Fishel filled in for a summer of concerts, and he still occasionally sits in. When Anna had Lila, her second child, we knew we might have to do a few shows without her, and so we asked Liz Winship to job share with her. Anna is now back with us "full time," but Vera needs to take the summer off, so Katie is joining us for our June gig. Katie’s Grandfather sparked her interest in music by teaching her to play guitar at age 8. She moved on to sax and has expanded outward from there. She now plays guitar, piano, bass, mandolin, ukulele, alto, tenor and bari sax, and she started singing two years ago, studying primarily classical and jazz technique. She is currently a music major at Clackamas Community College, and has plans to transfer to Marylhurst University or Portland State University in 2 years. Kendálin is inviting her into the joys of singing complex world-folk music and playing percussion. Rob Fishel arrived in Portland from Baltimore in 1999. He holds music degrees from Reed College and Portland State University, and has been a freelance musician in the Portland area since 2005. He directs the music program at Pioneer United Methodist Church, accompanies for the Columbia Chorale of Oregon, and often works as music director or accompanist in Portland’s musical theater scene. Rob was initially drawn to the accordion in high school. With some surprise, he saw his casual interest grow into a serious pursuit alongside the study of piano and organ, and he has since used the instrument in many professional contexts. Beyond traditional applications in folk music, Rob also advocates for the use of accordion in classical music, and enjoys presenting arrangements and transcriptions of piano and organ repertoire in concert. Liz studied music -- including opera! -- at Portland State University. She was a guest vocalist, subbing for Anna, in 2015. Ryan Aughenbaugh studied voice, bass, guitar, saxophone and piano. His university work in acoustics and recording arts developed a passion for collecting and using a wide variety of recording equipment and instruments. Percussionist and Multi-instrumentalist Josh Peters began his musical journey at the age of 8 studying piano in his hometown of Hondo, TX. After moving to the Austin area, Josh began playing guitar, bass, and trumpet. While studying trumpet and composition at the University of North Texas, Josh discovered that percussion was a far more natural instrument for him than trumpet, shifted his focus, and went on to study Ewe music from Ghana with Ewe master drummer Torgbui Gideon Foli Alorwoyie, Afro-Cuban, Afro-Puerto Rican, Brazilian, and Latin jazz with Jose Aponte, and South Indian Carnatic music with Poovalur Sriji (Srinivasan). Josh has also played in Portland with Tezeta Band, and has studied Indian classical music here with Rik Masterson and Sri, B Vijayan. He is currently living in Texas again. While studying Voice and Music Theory in college, Fletcher cultivated a love for jazz and the music of The Hi-Lo's and The Four Freshman. Fletcher picked up the electric bass during college. As a freelance performer, Fletcher does musical theater in addition to playing in local orchestras, jazz combos, pirate groups, etc. Jeff began playing drums and percussion at 11. He studied percussion performance and recording, composing, and arranging at Oregon State University in Corvallis, OR and has performed with the OSU-Corvallis Symphony Orchestra and the Newport Symphony Orchestra as well as other smaller ensembles in the Willamette Valley area. Jeff currently resides in Portland, Oregon, where he teaches drum lessons and plays electric bass for rock band Abolitionist. LeeAnn McKenna has been playing flute since she was an 11 year old child in Rhode Island. She earned a masters degree in performance, while also experimenting with folk music, Celtic tunes, blue-grass singing, and a touch of Jazz. LeeAnn is active musically as a member of both the Oregon Chamber Players and Thousand Waves, and also teaches privately. Nancy was the main percussionist-drummer for Kendálin for several years. She apparently enjoyed being put to the test by being asked to come up with just the right percussion bed of stability that would support and enhance the nuances of the songs created by the several composers/arrangers in the band. She thanks Shawn and producer-engineer Billy Oskay for their percussive ideas and for pushing her past her comfort zone. Nancy currently lives and performs in Portland, Maine. Vocalist Tanya Earle was new to the world of small ensemble performance when she came to Kendálin, but not a stranger to the stage. Her background lies primarily in musical theater, having performed such roles as Adelaide in “Guys and Dolls,” Golde in “Fiddler on the Roof, and Aunt Eller in “Oklahoma!”. She sang on our first CD, Opening. Arcellus, who played bass on our CD Opening, does custom transcriptions and keeps a busy performance schedule. You can find more information at his website. Kendra, who contributed her fantastic cello skills to a couple of tracks on our CD, teaches cello, does sound healing and performs in a variety of settings. You can find more information at her Swaha Studios website. Bria Bonet graduated from Oberlin Conservatory in 2008 with a degree in improvisation and storytelling. A new resident of Portland, Bria was part of Kendálin in 2011. She is now living and playing in New Orleans.